I need a week to sleep. This past month damn near killed me. As I say every year, I never want to do that again...when do I put in for my press badge for next year? As with every year this year was unlike every other and could only be called Tribeca. For me the festival people were great and so were the volunteers. I love the volunteers a great deal since they keep things honest and keep me headed in the right direction. This year we at Unseen did about 83 features and a bunch of the shorts. A new record I think. The constant back and forth has taken it's toll on me something fierce. It was for me a month of almost daily trips into the city with almost no days off once the press screenings started. Thank god I have no life or wife because I could never have done this with them. Want to know something crazy- I'm going to work at 9am tomorrow. The day job. Hell the day job will be a vacation when compared to out the door at 7am and to bed at 130 or 2am after writing all night. 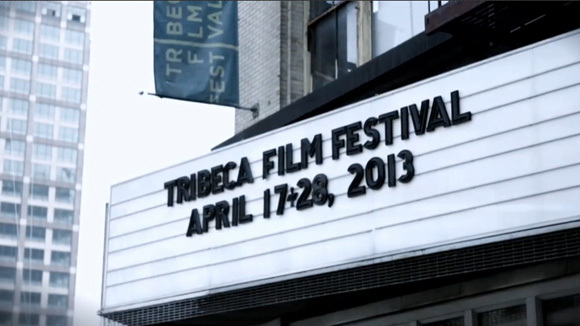 I love Tribeca deeply but I wouldn't wish anyone to cover the festival as I and we do. Its just not human. Honestly I could do the 74 or so films that I saw easily over the course of the festival- the trick was and is having to write them up for your pleasure plus coordinate everyone else's coverage. Its crushing. While there are things I'm unhappy with in how we covered the festival, the only complaint I have about the festival this year is the lack of extremes. While I can take solace in knowing that there was only three truly bad films this year, and I can understand that there ten or so great films, I'm disappointed that the vast majority of films this year were, in the words of a fellow reviewer Meh. What is meant by this is they were unremarkable, unimpressive and just sort of there. With many of the films had we come across them on their own out side of Tribeca, they would have been fine, but in the context of the festival andit's history they are just Meh. For me its understandable since you can't have a year like last year or the year before where there were so many discoveries. Occasionally you have to have a fallow year. For me it only makes looking forward 12 months all that more vital. I want to go back and see wondrous things. Now with that out of the way I go into hibernation until the next thing comes along. Mostly just Tribeca reviews will continue until Friday (Though 3 reviews of films at Hot Docs are in the mix)- after that it's back to the regular mix of films. I have things programmed until mid July, which is good because I'm probably going to sleep until then. I also liked Teenage, Big Joy, Will You Still Love Me Tomorrow, Sunlight Jr., G.B.F. and Ali Blue Eyes. The Killo Team was fine enough, but overrated. I will add your blog to my sidebar. I am a 58 year-old veteran English teacher in a Jr. high school who is also a fanatical lifetime movie fan. I live in northern New Jersey just minutes from Manhattan and the George Washington Bridge and attended most of the films with my wife Lucille and a few of my teenage kids.